San Antonio Top Limo’s luxury sedan service is more than just a regular old taxi service. It’s not just the normal plushy old seats you would find in a city taxi. Instead, our luxury sedans are spacious, clean, and comfortable. Our fleet of black luxury Chrysler 300 sedans will take you and up to 3 others anywhere you need to be. And while they aren’t as flashy as a limousine, that may be a good thing for you. If you want to ride in the luxury and style through town with a small group of friends or family, then our luxury sedans are perfect for you. Our luxury sedans can be perfect for business. Make a great first impression with one of our sleek, black Chysler 300s. Take a ride around town while discussing a deal, or take a ride out for lunch and then head on back. Whatever you plan may be to seal the deal, we can help you set it into action. Want to take a night out with the family in a luxurious manner? Our luxury sedans are great for maneuvering the streets of San Antonio to get where you want to be. Head out for a luxurious dinner at one of San Antonio’s finest restaurants, or take a romantic ride downtown and see some of the great sights San Antonio has. And whenever you want to go somewhere else or head back home, we have no problem doing it. Just sit back and our professional chauffeur will do all the driving for you, so you can just relax. 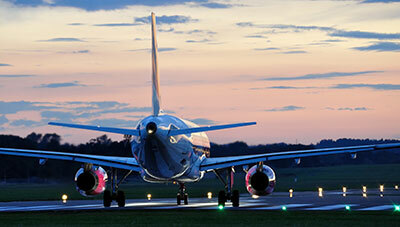 ​Heading out on a flight at San Antonio International Airport or one of the surrounding regional airports? Take one of our luxury sedans and relax while we take you to the drop off location for your flight. We make sure to know when your flight is leaving to our chauffeurs can arrive on time to get you there without stress. We monitor flight schedules and traffic flow in San Antonio to get you there on time every time. Any flight delays will be taken into account and we will let you know anything that changes. Our luxury sedans are loaded with a surround sound speaker system and can hold up to 4 passengers inside. With roomy seats and a smooth, comfortable ride along the streets, this is the ride you have dreamt of. Taking the family out for a nice dinner in town, or a more romantic setting are perfect occasions for one of our luxury sedans. Business meetings or lunches are just as great with our sedans, and while you may not always be able to make a deal, you will be sure to make a great impression for any other deals for the future. ​And it doesn’t have to only be these events. Just let us know where you need to go and we can pick you up on time to get you there in style. San Antonio Top Limo is your place for the best luxury sedan service in San Antonio.